They have just turned 18 or will be 18 years old soon. African football talents who were born in 1998 and 1999 are waiting for their chance to move to Europe this year. I present ten of them who want to follow Wolfsburg's winter signing Victor Osimhen and whom every European club should have in mind. Ignatius Ganago Kpene's CV is exemplary for quite a few top talents in Africa. A 1,77 m tall striker who prefers to play centre forward Ganago has never played for any of Cameroon's junior national teams. The reason? 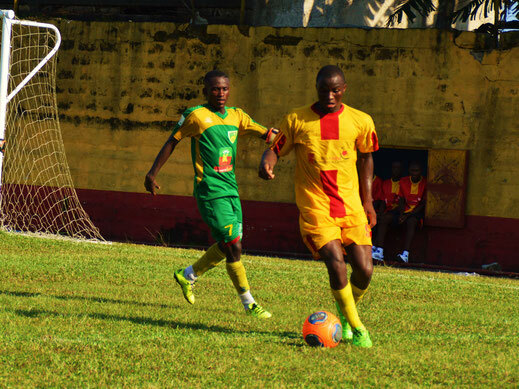 Ganago plays for elite youth academy "Ecole de Football Brasseries du Cameroun". Brasseries which formed stars like Clinton Njie has a good reputation and strong contacts with major European clubs like Olympique Lyon or RSC Anderlecht. Thus Brasseries doesn't need the (often corrupt) junior national teams in order to promote its players. Ganago promoted himself by showing an exceptional performance at annual "Tournoi de Limbe" in December. He is a very aggressive and fast striker with an extraordinary physique (jumps 70 cm) and a clean finish. It is hardly conceivable that he will not score in Europe soon. Update: Ganago has signed with OGC Nice. 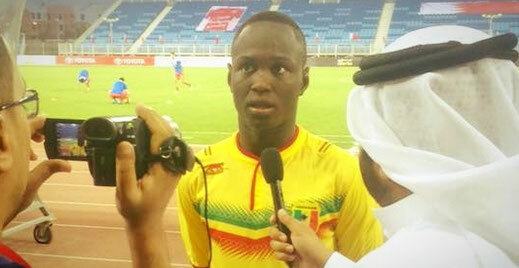 In contrast to Ganago Malian striker Boubacar Traoré has an extraordinary record as a youth international. 2015 African U-17 Championship winner (3 goals) and vice champion at the 2015 U-17 World Cup in Chile (2 goals) Traoré has already demonstrated his skills to a broad audience. His strong physique, his determination to score goals and a good finish with both his right food and his head make Traoré (1,80 m tall) a promise for the future on the crucial centre-forward position. While Nigerian striker Victor Osimhen was transferred to Wolfsburg Traoré, second best scorer of 2015 U-17 Afcon, is still in the waiting line. Update: SPOCS arranged a trial at Eintracht Frankfurt. Generation Foot – partner academy of FC Metz in Senegal – usually recruiting young teenagers has recently signed 18 year old Ablie Jallow. The captain of Gambia's U-20 national team might be prepared at Generation Foot's Ligue 1 side for a future move to Metz. There is no question that Jallow has the talent to make it to France next summer. A fine technician and a reliable team player Jallow impresses fans and officials with strong performances, quite a few goals, good free kicks and assists in his first (and probably last) season in Senegal. Update: Jallow will move to FC Metz this summer. Ganago's teammate Guy Marcelin Kilama is Brasseries' second big prospect for 2017. A 1,80 m tall central midfielder who usually plays as a number eight but can also be employed as a defensive midfielder or even a central defender Kilama shows also big leading qualities. His game reminds observers a bit of Sami Khedira – less powerful but more technical though. Like the German international Kilama finds the right spaces to leave his mark on the game and score goals. Additionally he has a good vision and passing, solid technique and plays very intelligently. When Galatasaray Istanbul tested Malian U-20 international Sidiki Maiga before Christmas Turkish media was very enthusiastic about the youngster's performances. But instead of joining Galatasaray's winter training camp Maiga returned to Mali (and turned 18). Maiga's club Real Bamako is now waiting for the best offer for the U-17 Afcon champion and runners-up at the 2015 U-17 World Cup (3 goals). There is no doubt that Maiga will soon be playing for a major club in Europe. Update: Maiga has signed with Spanish club AD Alcorcon (2nd division). Michael Baidoo impressed observers and scouts for the first time at 2015 Soccer Fiesta in Accra, Ghana. Since then Vision FC's number 98 growed in size and in his game. Fast moving and very determined to score Baidoo can be a nightmare for any defense. The 17 year old who usually plays as a deep-lying forward or even a central midfielder has all the qualities to be also employed as a false nine. After a trial at dutch side FC Twente in 2015 Baidoo is waiting for his move to Europe. Vision's president Michael Osekre was quoted in Ghanaian media: "I am happy with the number of clubs who have expressed interests in getting him." Update: Baidoo has signed with FC Midtjylland (Denmark). Small (1,67 m) but very fast and powerful right-footed winger. Good shot. 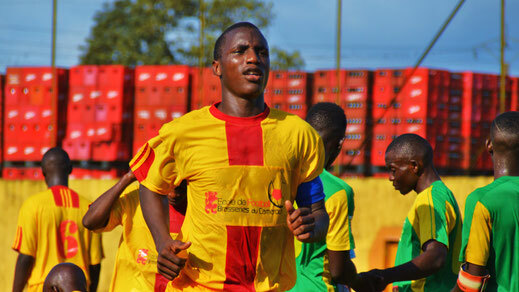 Plays for 2015 Guinean champion Horoya AC. He can act like a diva but he hardly ever misses a chance to score. Clean finish, fast and great free kicks. Plays for Generation Foot. Update: Niane will move to FC Metz. Physically still a child, technically already a pro. Ofon is a winger with an outstanding first touch and great speed. Club: Best Stars Limbe. Tall winger, good dribbling. Voted best player of the international tournament Gaetano Scirea 2015 (Italy). Team: Darou Salam FC.